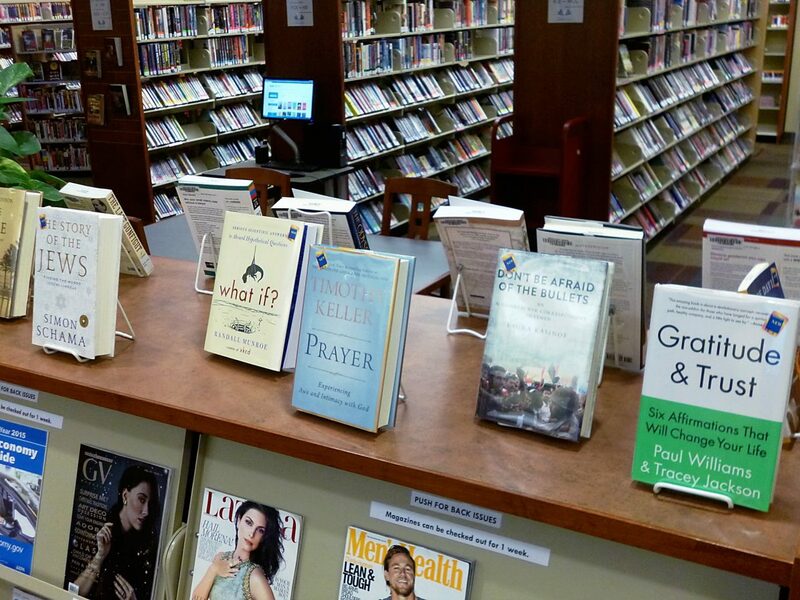 Some of the new books on display at the Parachute Library. The Garfield County Public Library District was thrilled to receive a $12,848 grant this year from the Colorado State Library. The 2014 Colorado Legislature renewed the State Grants to Libraries Act, which allowed the Colorado State Library to distribute grants throughout Colorado based on county population. Our libraries used last year’s grant to purchase early literacy materials. These funds enabled our youth services staff to purchase new materials for children such as Storytime kits and picture books. The Storytime kits include books and educational materials that our staff use in early literacy programs. Garfield County Libraries would like to thank the Colorado State Library and Colorado State Legislature for making this grant possible. We encourage everyone in Garfield County to stop by your local library and check out one of these — or any — of the books available. You can also browse the collection and download eBooks 24/7 by visiting our website, http://www.gcpld.org.